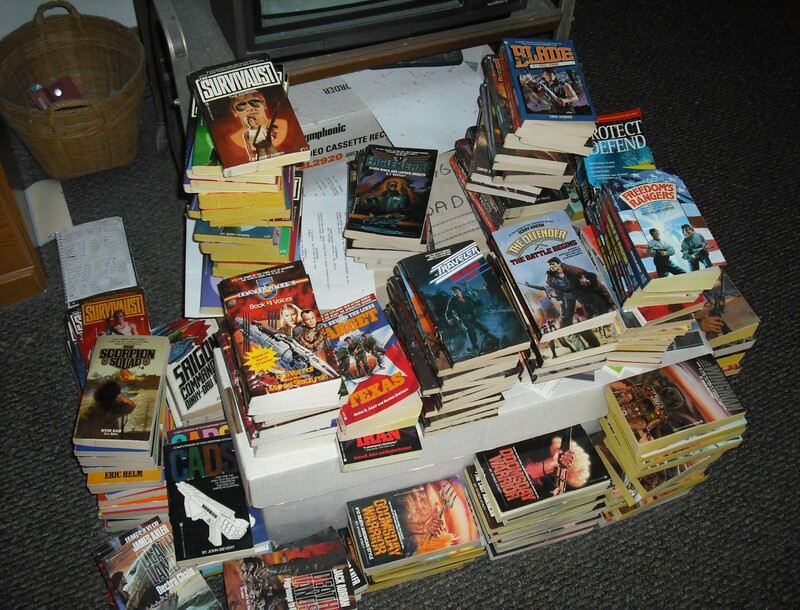 May 2014 – THE BOOKS THAT TIME FORGOT. 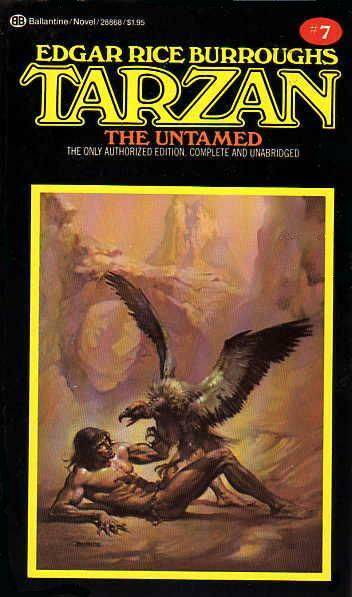 The eight book in the series picks up as Tarzan searches for Jane. He tracks the German officer that took her to the land of Pal-ul-don. This land is a lost land inhabited by men with tails. Tarzan befriends a Waz-don and Ho-don, the black and white inhabitants of this valley. The Waz-don live in caves while the Ho-don are city dwellers and ride Gryfs or Triceratops. Tarzan finds his wife captive in the Ho-don city and being used as a pawn in a power struggle between the king and high priest. The Ho-don religion believes that their god is tailless. The king wants to use Jane and Tarzan as emissaries of their god to increase his power. The high priest denounces them as false gods. Eventually the timely intervention of their son Korak who has also tracked Jane saves the day. An ally of the ape-man is placed on the throne the Tarzan and his family are allowed go back home. 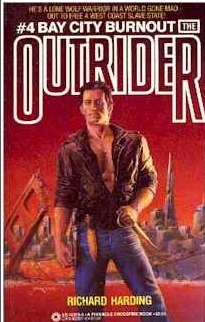 This was an excellent book. I loved the strange races and creatures that inhabit this mythical land. Burroughs created an intricate and believable society. He was at his best in imagining strange civilizations and firmly established the success of this series. It is August 1914 and Tarzan has learned of the start of the great war. He rushes back to his African estate. When he arrives he finds it burned to the ground and his faithful Waziri killed. A charred body of a woman with Jane’s wedding ring is all he finds of his wife. Driven insane he goes on a savage quest for vengeance against the Germans who did this. Tarzan wages a one man war against the Germans in east Africa. After killed the officers responsible for his wife’s death, Tarzan heads to the interior. He wants to leave civilization behind and live out his life with the apes. He hooks up with an ape tribe and lives a simple life. Eventually a squad of native deserters from the German army enter with a captive female German spy. What follows is an adventure that leads him to a lost city of maniacs. At adventures end he finds out that Jane is still alive. This is probably the most controversial Tarzan that was written. It was written during America’s entry into the war and reflects the jingoism of the time. All Germans are portrayed as cruel and stupid with no redeeming qualities. Edgar did have that tendency to go overboard on stereotypes. 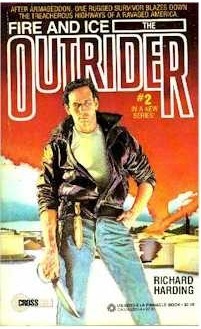 I read where this killed the market for his stories in Germany where they were popular. Subsequent novels with strong German characters did nothing the reverse the damage that was done. The other controversy was killing off Jane. I think that was a bold move on his part. The character was limiting on future stories. 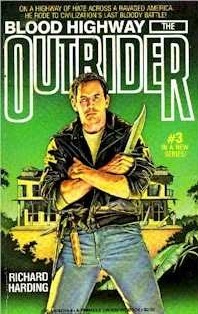 He only used Jane for two more future novels. Still there was an outcry that proved unpopular with his fans so he added at the end that Jane was still alive and the Germans had put her ring on the body of an unknown native woman. In spite of its flaws I still enjoyed the book. 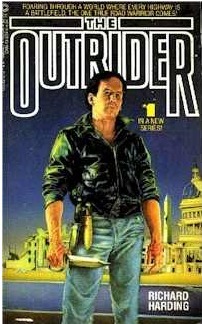 The subsequent books to follow are considered some of his best work. 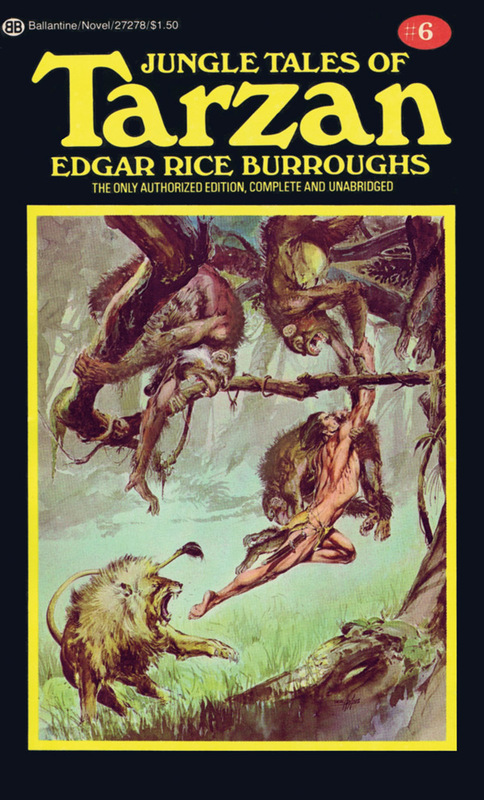 The sixth book in the Tarzan series is a collection of twelve short stories. They take place when Tarzan still lived among the apes. They deal with Tarzan’s first love (ends badly as all first loves do). His run in with the local witch doctor. His attempts to get the tribe to post sentries. Battles with a rival ape tribe. Tarzan’s quest for God and ends with Tarzan saving the moon. I bet you didn’t know we have Tarzan to thank for the moon’s existence. This book is probably the weakest in the series. It’s not that its bad. I’ve read this book several times and will probable read it several more before I die. It’s just that I find this stage of Tarzan’s life dull. I much prefer his post civilization adventures. 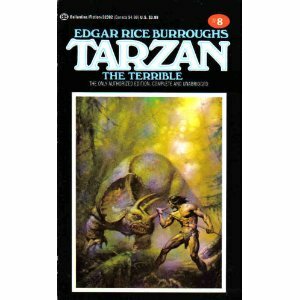 Thankfully Burroughs next book was his most powerful Tarzan yet.